ITANAGAR, Nov 3: The status report on land encroachment cases in Rajiv Gandhi University (RGU) has revealed that encroachment occurred due to negligence of the RGU authority’s alteration of the original boundary by its boundary wall (demarcation) committee constituted in 2009. The report said physical verification revealed that the land currently occupied by RGU measures 240.46 acres, out of the actual 306.60 acres allotted to it vide land allotment Order No DC/LM/PP(GOVT)/019/09 dated Yupia, 17 August, 2010. 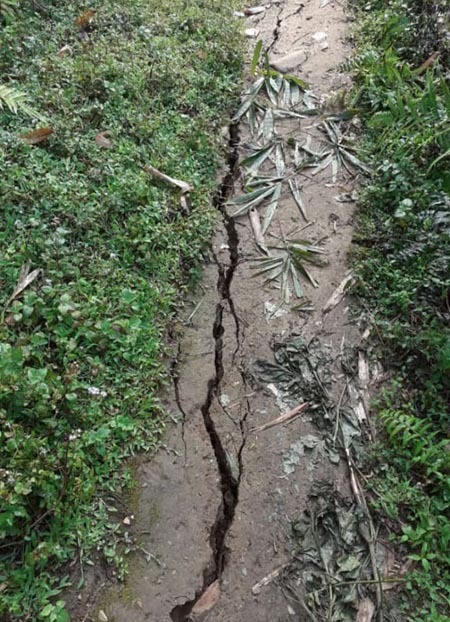 Following reports published by this daily in June this year, the Papum Pare DC had constituted a board of 12 members along with the boundary wall committee of 2009 under the chairmanship of the Doimukh sub-divisional officer (SDO) to verify the actual demarcated boundary in 2009. RGU officials, AAPSU representatives, the RGU Students Union and youths of Doimukh and Rono accompanied the board members during the physical survey and verification on 19 September, 2018. Ground findings revealed that the RGU authority constituted a boundary wall committee in 2009 and re-demarcated the RGU boundary in 2014 with the help of Gaon Burah Nabam Dhormo, former ASM Tana Kuka, former GPMs Techi Gambo and Nabam Gobin, and land management staffer Tana Tabo from the Papum Pare DC office. The report states that the boundary wall committee of RGU conducted a physical survey in 2014 and altered the original boundary by excluding a large portion of land from the hilltop (water tank area) in the north-east running towards Emchi village area up to the SSB firing range, measuring an area of approximately 22 acres of RGU land. “The large area of land is presently claimed by Taba Teshi, a contractual employee of RGU, since the RGU authority has excluded the land from the RGU boundary in order to construct a boundary compound wall,” the report stated. It stated that the RGU land, left open without constructing a boundary wall near the RGU guest house (D Extension) was obstructed by RGU professor Tana Showren in 2017-’18, claiming the portion of land as the private land of his son Tana Phobia. At the same portion of land, Tat Tania, a teacher, is also said to have obtained LPC in favour of his name. “The land excluded from the compound boundary wall is approximately 66.14 acres of land and the land illegally encroached by the private individual, as per the original boundary shown by gaon burah Nabam Dhormo, former ASM Tana Kuka, and former GPMs Techi Gambo and Nabam Bogin and Tana Tabo, is 10.02 acres,” the report said. The verification team found MIBT and OBT structures constructed on self-help basis by labourers of RGU existing over the land encroached by Tana Phobia during physical verification. It noted that the original map referred in the minutes of the meeting of the Naharlagun ADC held on 29 August, 1985 and on 6 September, 1985, measuring 302 acres of land, was not available in the official records of the land management department and the RGU. The RGU authority could also not produce a copy of government of Arunachal Pradesh land acquisition notification indicating the boundary of four directions to the board. On 14 January, 1986, the compensation as proposed by then ADC had been approved and sanctioned by the university in favour of the land donors of Emchi, Rono, Doimukh and Lekha villages. “The approximate area of 66.14 acres of land was carved out from the original map in the re-preparation of map in the year 2010 and re­demarcation of RGU boundary in 2014 by the RGU boundary demarcation committee of 2009,” the report added. The board also suggested tracing out the original university map prepared prior to 1986, the government of Arunachal Pradesh acquisition notification for establishment of (then) Arunachal University, the land compensation records, etc.